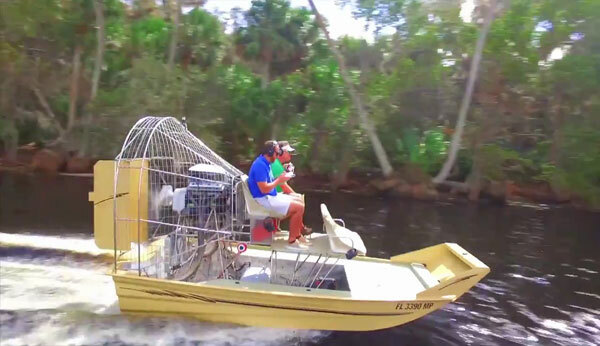 Airboat Charters in Lake George Florida. 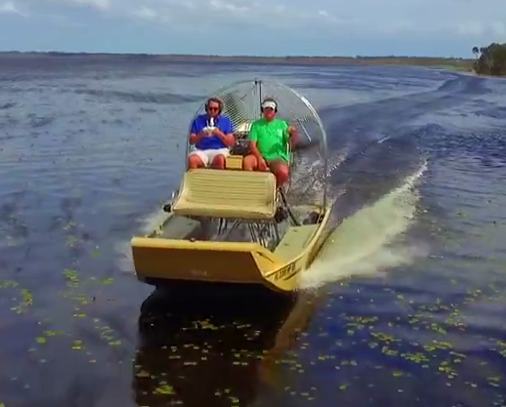 If you’ve never experienced the thrill of sliding on two inches of water, skimming past alligators then this airboat adventure is for you. Your airboat tour takes place on our 400 HP 2004 Floral City aluminum hull airboat with our licensed and experienced captain. Not to be confused with so called “cattle boats” that hold up to 20 passengers, our vessel accommodates a maximum of 4 passengers for a true airboat experience. Since weight is the largest enemy of all airboats, limiting our boat to 4 passengers allows us access to anywhere there is water, little water or no water at all. 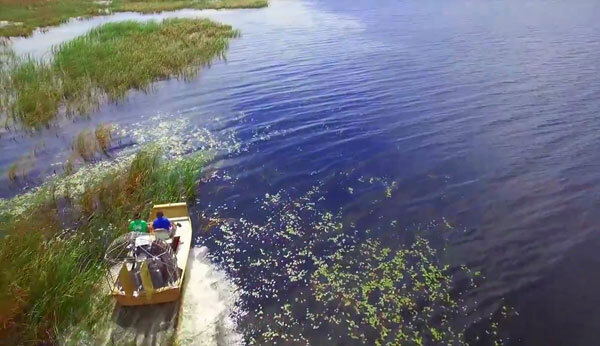 Photo opportunities are around every corner of this thrilling airboat adventure. On this charter we offer sight seeing tours, bow fishing trips, and alligator or frog gigging hunts on Lake George–the second largest lake in Florida. 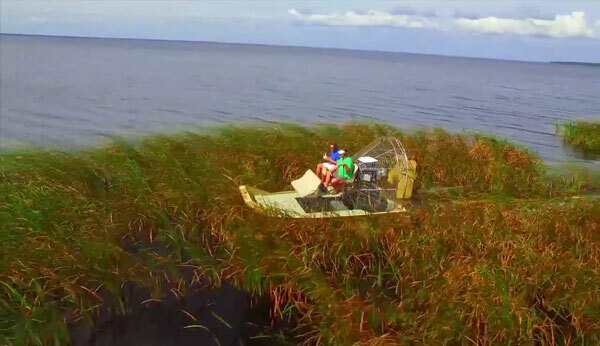 An airboat is the perfect vessel to traverse the little explored pockets along the shores of this vast lake and experience nature like you never have before. On a typical one hour tour, we run across alligators, bald eagles, sand hill cranes, turtles, blue herons and other local wildlife as we weave through the cat tails and high grasses. Captain Nick will also introduce you to Silver Glen State Park, one of Florida’s most beautiful springs.The crystal clear blue water and bubbling sand boils of Silver Glen Springs provides the perfect viewing area for the wide variety of fish that can be seen throughout the year. Manatees also visit the spring in the winter as a thermal refuge from the cooler waters of the St. John’s River. Prices are per boat not per person.